Today is the big day! 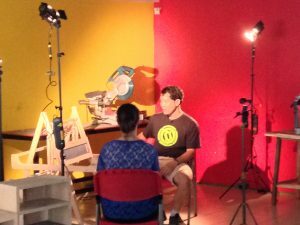 CNN showed up at Makerspace before opening at 10am, Melissa, the on-camera anchor and Matt the camera guy. They set up lights and their camera equipment and started by interviewing Nati. Melissa talked to all the members that were there and they took some footage of all of their projects and the shop projects that Nati, Golf and Goong are working on; the automated cold brew coffee maker with peristaltic pump and Peltier cooling apparatus, modular automated hydroponic farm, and rice-maker sous-vide peripheral. Ong, Goong and I did some fake woodworking for the camera. Ong’s interview about his company, Rada Loom was awesome! When they were done filming I got lunch with Nati and Joy on their brief break before the next group showed up. Folks from Deep South Thailand collective showed up about an hour later. They are a league of young business owners from the far south of Thailand trying to rebrand the area and bring new business and investment to the area to combat the negative and dangerous reputation the area has had historically. They stayed for several hours, talking with Nati and Joy trying to glean advise and connections to help them move toward their goals. I finished teaching the band-saw box class with Goong. He started making a second box immediately as he wasn’t satisfied with his first attempt. 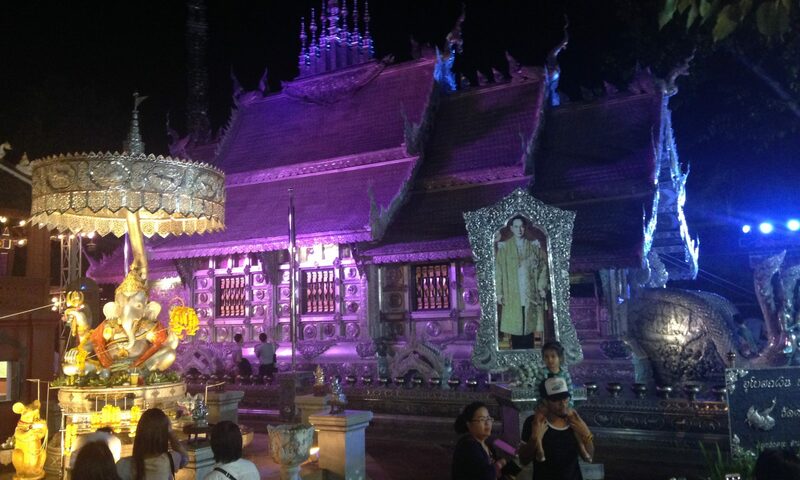 After closing up I went to the big Saturday night market and Wat Sri Suphan (Silver Temple). I talked to several silversmiths about modern vs traditional roles of silverwork in Chiang Mai. There is a tradition of giving a large raised silver bowl with traditional motifs chased into its’ walls, as a retirement gift. 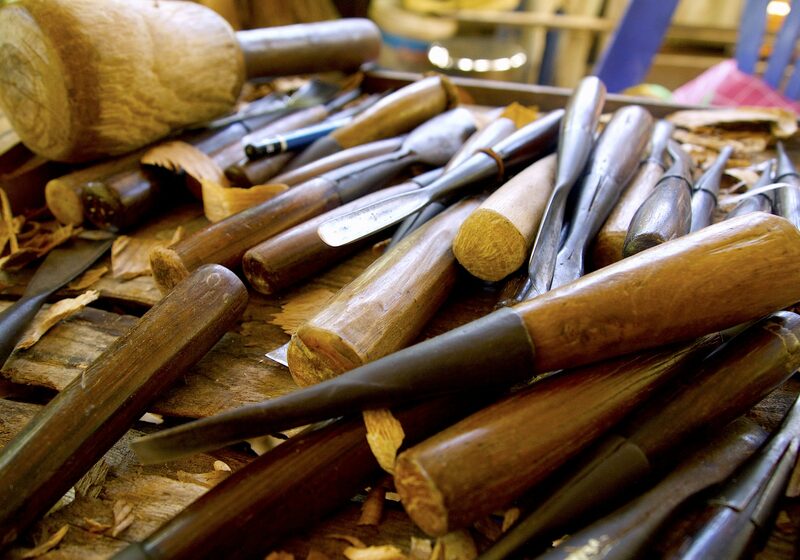 The government supports this tradition in order to help sustain the traditional craft. Modern silversmiths must however produce contemporary work as well, because the demand for silver vessels is not high enough to support the entire silver industry. This situation produces incredibly skilled artist producing amazing traditional pieces as well as very high end contemporary jewelry. High-relief silverwork is on of the ten traditional forms or divisions of Lanna artwork. There are masters of each craft who regularly teach novice and advanced students at the temple complex. I’ll definitely need to spend more time there but I had to get back home to pack for the wood carving intensive that will begin tomorrow after CNN does their thing at Woodcarving Village.